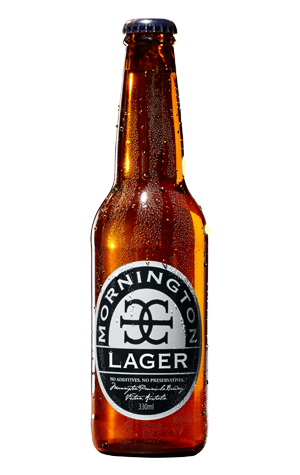 One thing of which you could never accuse Mornington Peninsula Brewery is not brewing enough different beer styles. Whether you're after heaps of hops, mountains of malt or quirky hybrids, chances are you'll find something among its core or specialty lineup. Yet, when you're on a mission to become one of the bigger players in the local craft brewing industry, it doesn't hurt to have something to appeal to those for whom even your pale ale might be a little too fruity. Enter the Lager. This canned and bottled offering from the brewery (it's designed for broad appeal, after all) is a straightforward affair. A simple malt bill offers up light, cereal flavours with classic German hop Tettnang there to deliver soft, spicy aromas and an equally soft bitterness in a beer designed to be drunk crisp and cold rather than dissected.